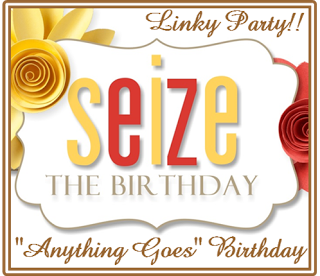 Celebrate @ Seize the Birthday! Hello there friends, It’s time for a new challenge over at Seize the Birthday! This time around it’s Anything Goes with no topping! Just remember to keep it a birthday theme! My card was inspired this week by this great sketch over at Mojo Monday! I kept the card pretty simple and straight forward as the sketch implies! The stamps are all from Verve and the paper is from Monte Paper Mill and the pack is called Hello Darling. I got the paper pack a few weeks back at a NEW local stamping store that just opened up less than 5 minutes from my house! So excited about that! She is a super sweet lady and a retired teacher and I wish her much success! I can’t wait to start taking some classes up there! Oooh such pretty, pretty colors! Lovely fun card! Aren’t you lucky to have a store that close to you…..FUN!!! Pretty card. Nancy. 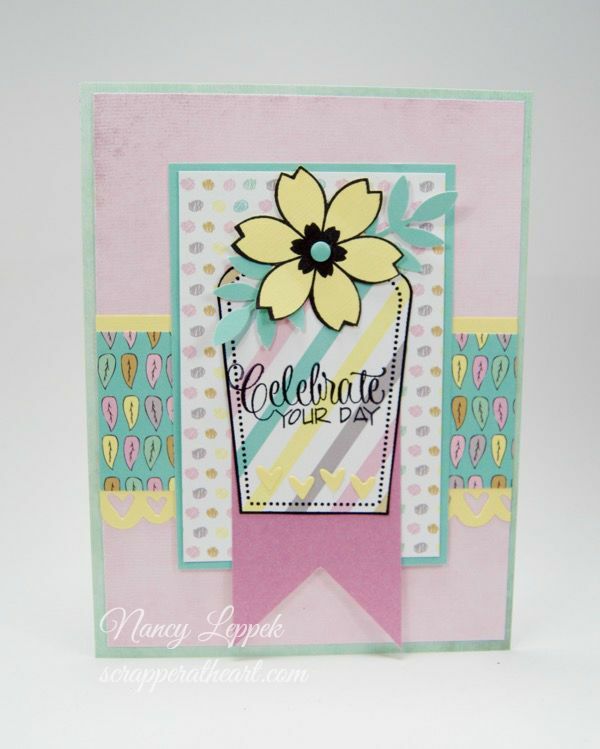 Love that Verve flower and the pretty papers. Beautiful card design and lovely colors too! What a cheerful card! I love the soft colors. And lucky you with a new stamping store close by. The nearest one to me is about a half hour away, which isn’t bad, but it’s far enough away that I don’t get over there all that much! That can be a good thing….cha ching cha ching…thanks for stopping by today! HUGS! What an adorable birthday card! It’s going into my favorites folder!